At Max Ruthven, Color and Design Services, we look to identify your needs to make your space one that you love. We specialize in providing Professional Architectural Color Consultations to homeowners as well as professionals such as Contractors and Builders. My mission is to create comfortable, functional, gorgeous spaces while surrounding you with the colors YOU love. Our services are vast and range from choosing the right paint colors for interior and exterior walls, identifying new flooring options that fit best with your space, assist in choosing your window treatments and finding the best countertops, tiles, hardware and light fixtures for your home! Color is our Passion. Due to extensive training, Color is what we know! Color is who we are! We do not treat it as a hobby. We focus on providing an unforgettable experience and creating a client relationship that will exceed your expectations and provide you a space that you're proud to call home. We're dedicated to ensuring you're happy with the end result and are sure to provide you the best Architectural Color Consultation experience. Contact me today to learn more about how to take advantage of our Back to School special and get started on designing your ideal space today! Choose it. Change it. Love it! 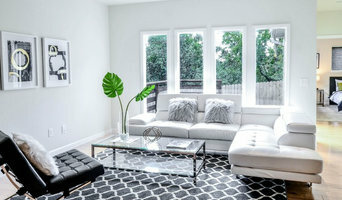 Melissa is an Austin, Texas interior designer with a love for beautiful, well designed, organized, and functional spaces. Melissa started off as a professional organizer with a passion for interior design. While running her organizing business she pursued an education in interior design and became a Certified Interior Designer. With a project management background (at Dell Computers), running an organizing business, and years of decorating homes under her belt, she knows the importance and value of a well designed, organized, and functional home. At Melissa Clark Interiors we assist our clients in achieving an aesthetic that reflects them, their lifestyle and their home. We operate with impeccable integrity and care and thrive on creating spaces to be enjoyed by our clients for years. Melissa's personal style is timeless, edgy, and sophisticated. Melissa resides in Bee Cave, Texas with her husband, two children and a pup named Pippa. Give her a call today to learn how she can partner with you on your next project! Our goal in every project is to listen to the client's needs/wants and design for the client. We have been in business since 1980 in Austin. We design for residential and commercial projects. So our experience is broad and our ability the best in design as noted by clients, awards, magazines, newspapers. We enjoy and value each of our clients. Austin's Innovative Interior Design Studio Best of Houzz 2017! FIG Home FIG = Found Inherited Gathered Residential Interior Design Services FIG Home knows that every person desires a beautiful home filled with elements which convey a sense of history. Regardless of whether that provenance is real or fictionalized, FIG’s timeless designs seamlessly blend old and new, found and inherited, high-end glamour and rustic appeal to create a striking yet functional living space. Working closely with a select group of proven and respected architects, and contractors, FIG Home’s team is available to take on a wide range of projects, including full-scale, new builds to complete remodels. For more than 20 years, Kit has become known for her ability to create architectural integrity in a home, infusing her designs with both vintage and modern elements that reflect the style and personality of its owners. Her experience as the owner of a trade showroom instilled knowledge of the many facets of how the construction and design trades interrelate and the order in which projects must be organized to be both timely and cost effective. 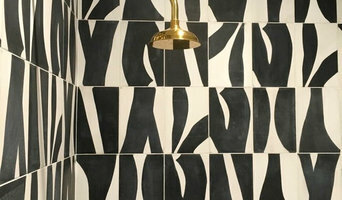 We have been designing beautiful spaces since 2005. Bringing fashion and function together to create the perfect space. Your home should reflect who you are and what you love. Let Autrey Interiors help you create the home of your dreams. 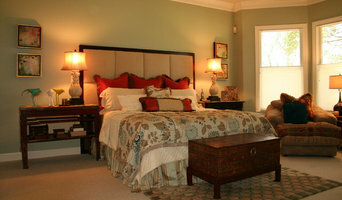 Offering custom curtains, redesign, remodeling and staging to the Austin Hill country. Surround yourself with beauty and live a beautiful life. Vivid Design Group specializes in creating spaces tailored to each client's specific tastes and budget. We strive for designs that are always fresh, fun and timeless. We are happy to help you with everything from color consultations to furnishing your home, or remodels and new construction. 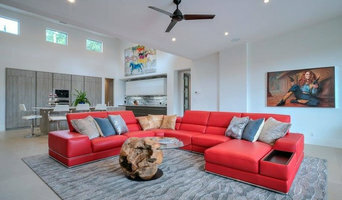 Full service, turnkey interior design firm catering to the Austin, TX area. We specialize in custom designs unique to each clients' specific wants, goals, and needs. Our designers can turn the simplest of houses into your dream home. Our philosophy is simple: the most important part of our design process is our clients. Our staff gets to know your every need, want, wish, and desire so we can design the dream home for your family. With every client meeting, designers and clients collaborate to ensure that your vision is present every step of the way – as designers we have years of experience designing beautiful spaces, however it has to the space of your dreams otherwise our job isn’t complete. Clients are kept updated between meetings with emails and phone calls to always be aware of what’s happening on your project. Sometimes these updates are lengthy and sometimes they’re short with a sweet “everything is on track” – either way you’re always looped in. At TwentySix, buying local is truly important to us. We shop and support local businesses as often as possible. This allows us to incorporate unique pieces while offering a high quality product.